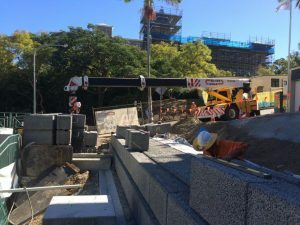 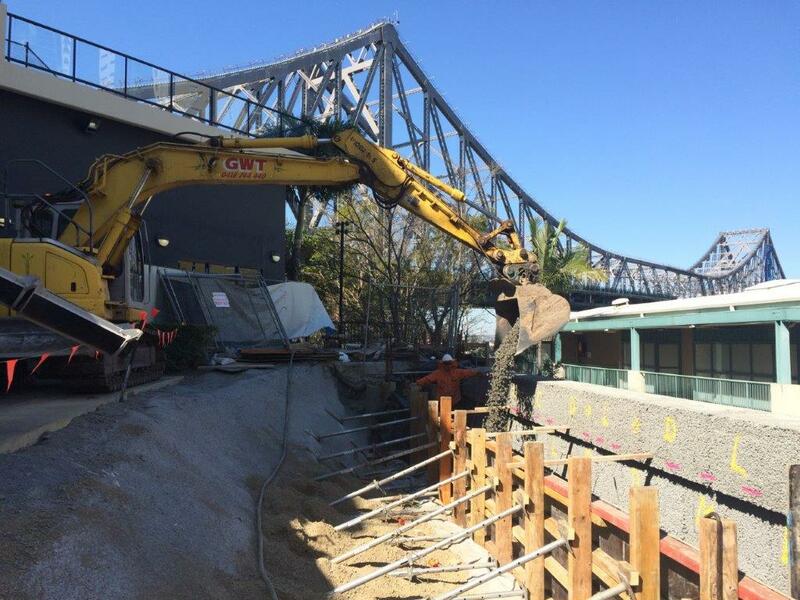 During routine maintenance inspections, Brisbane City Council (BCC) determined that the 22.0m long elevated walkway at Ivory Lane, Fortitude Valley required replacement due to the deteriorating timber structure. 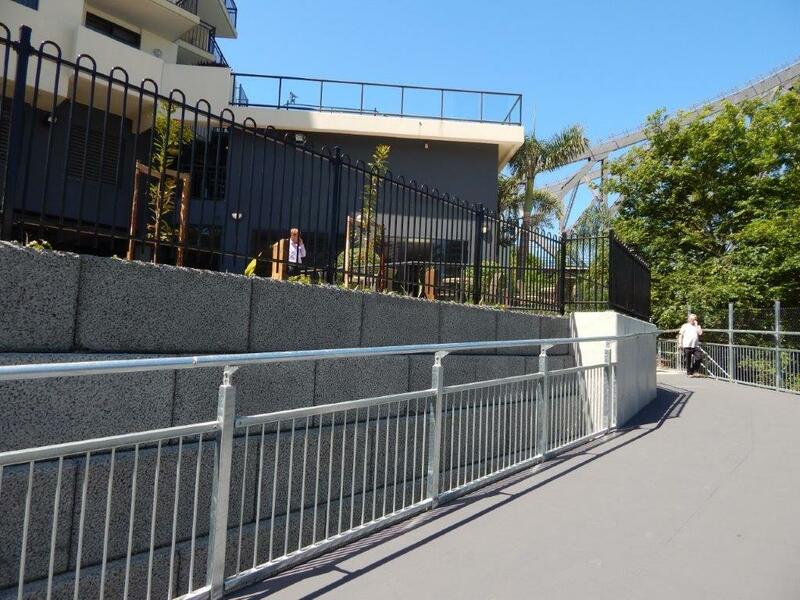 The boardwalk was elevated on posts with the boardwalk deck generally 1.0m to 2.0m above a sloping area which adjoins the base of a dry-packed stone retaining wall. 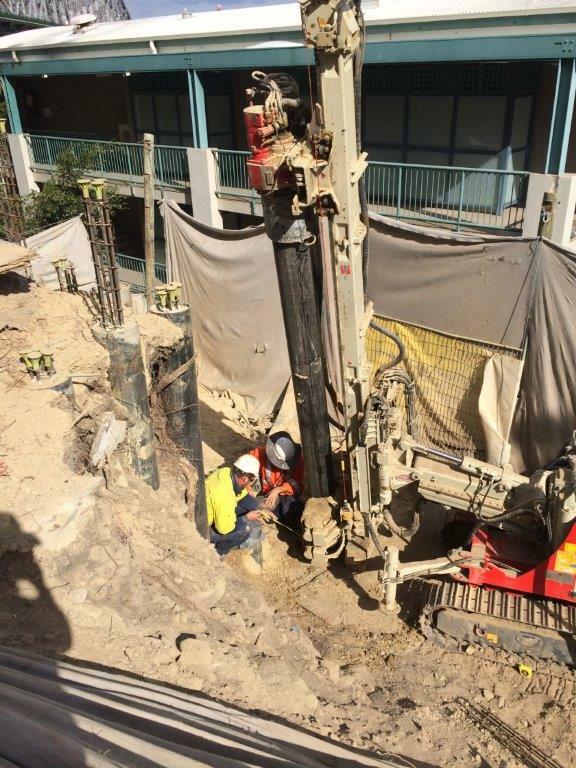 The ground conditions comprise of silty sand fill underlain by a residual soil layer of very stiff to hard clay followed by extremely weathered to low strength arenite. 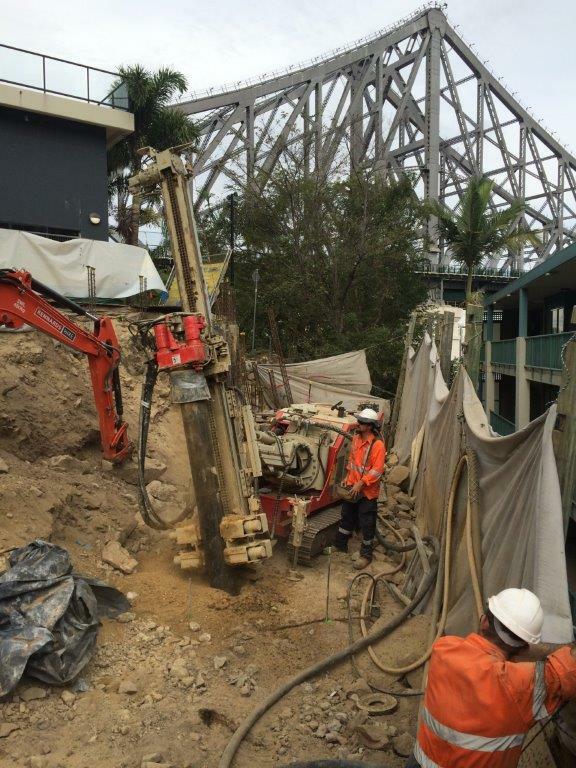 Geoinventions were engaged by Moggill Constructions Pty Ltd to design the micropiles according to AS2159:2009 which would support the new walkway structure. 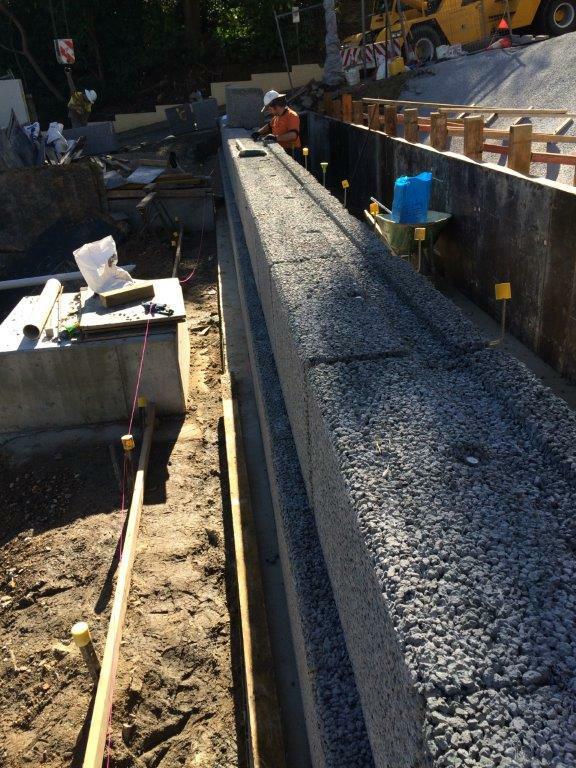 5.6m long micropiles were designed which consisted of 20mm DSI galvanized threadbar fully encased in a 4.5mm thick CHS steel liner. 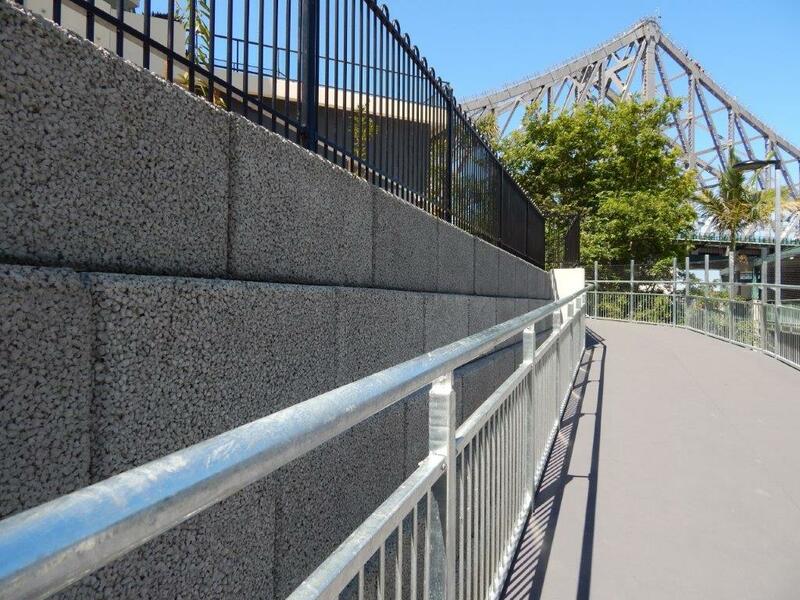 The minimum concrete strength adopted was 50MPa. 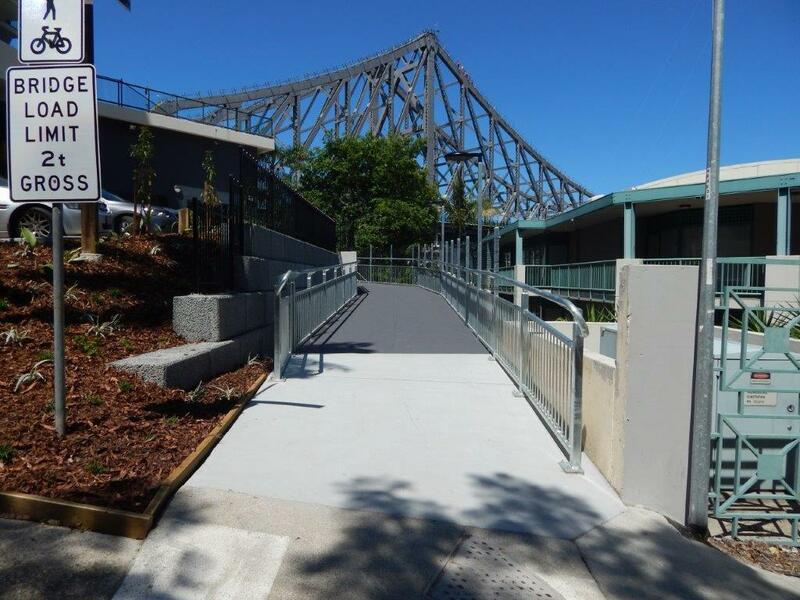 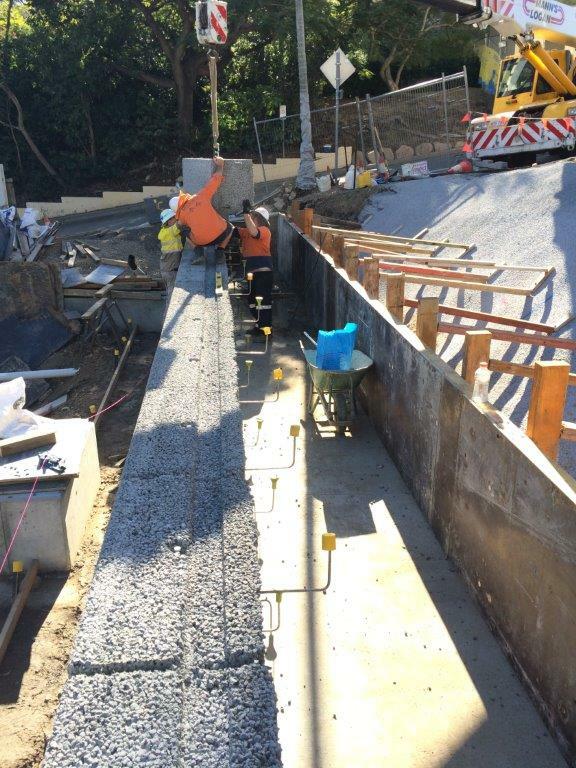 Council has now replaced the timber walkway with a durable three metre wide concrete fibre composite structure that provides a safe pedestrian and cyclist connection to and from the Story Bridge/Bowen Terrace, City Reach Boardwalk and New Farm Riverwalk. 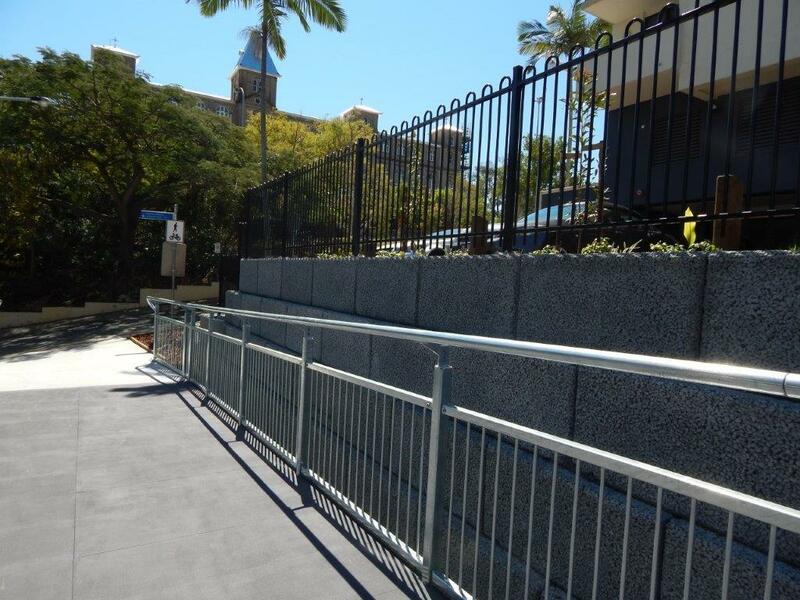 The project was a great success and Geoinventions are pleased to have been a part of the design process.